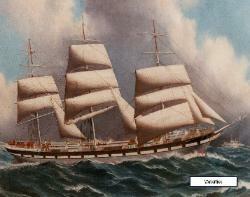 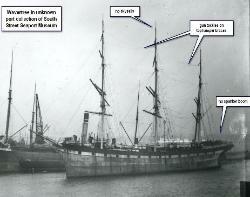 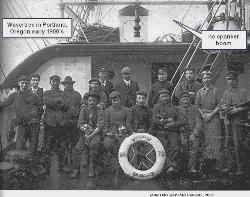 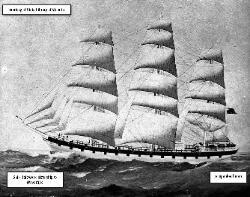 Pitchard, purchased her on the stocks from R.W. 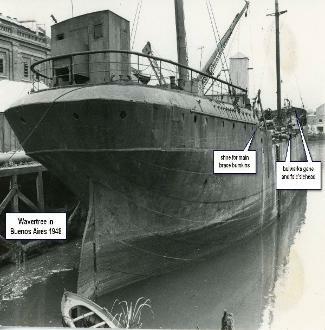 Leyland & Co. 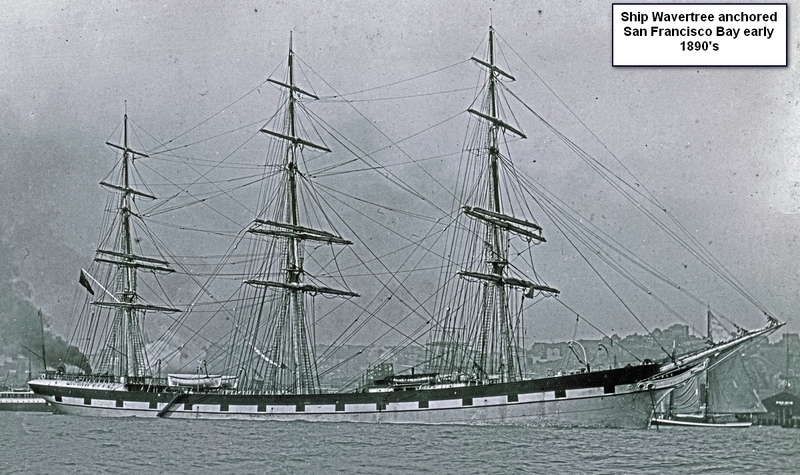 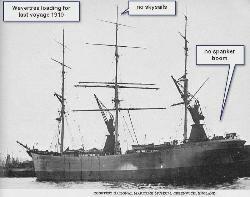 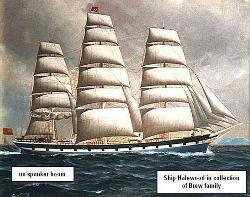 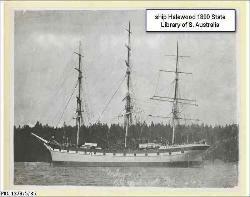 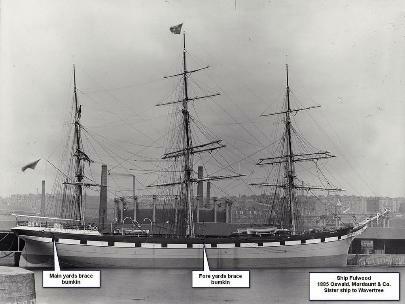 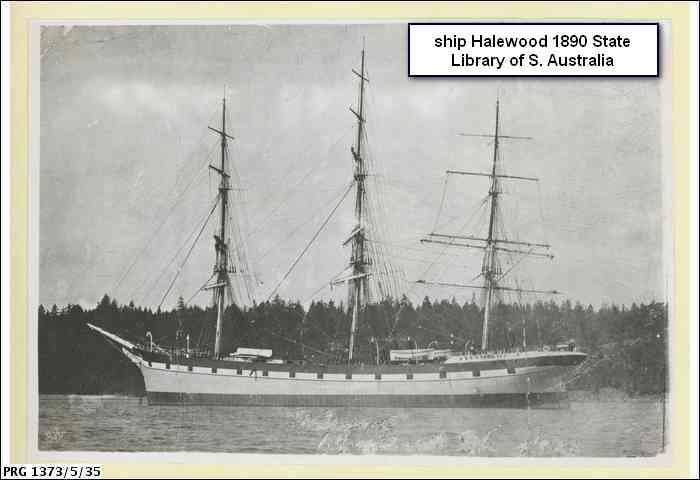 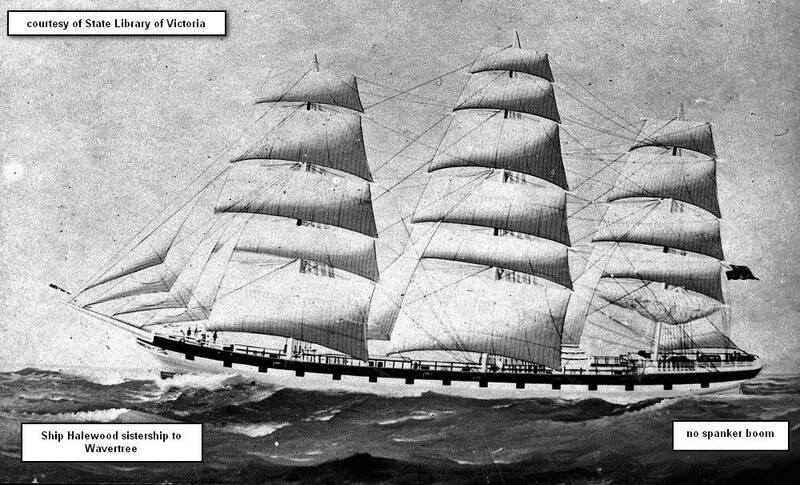 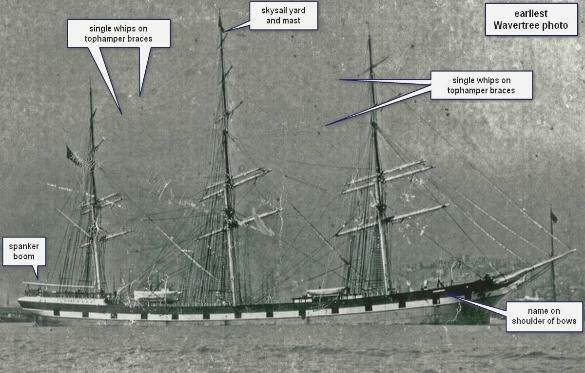 In 1888 she was bought back by R.W. 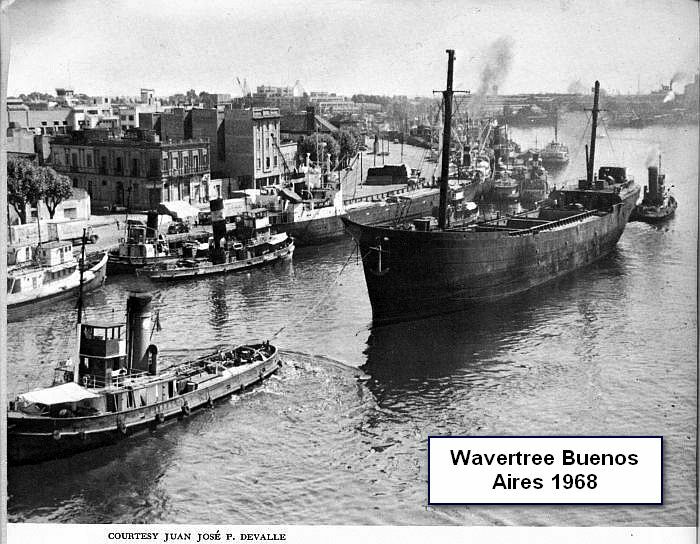 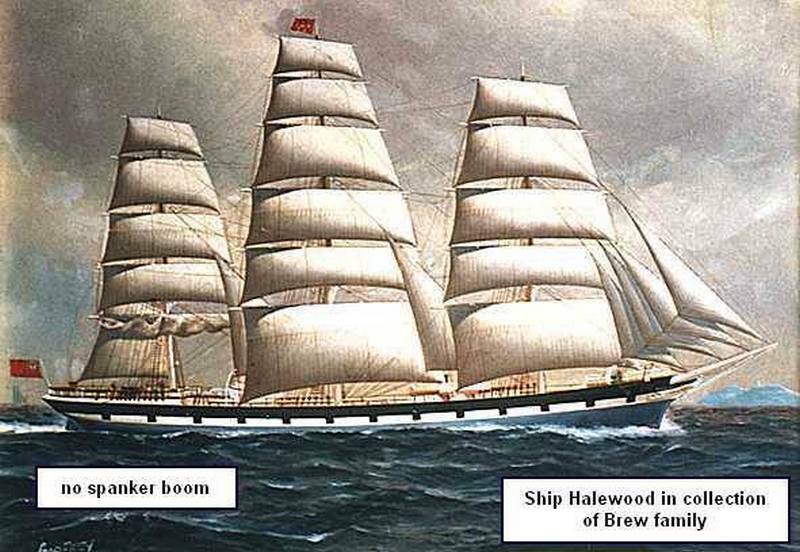 Leyland & Co., Liverpool, and was renamed Wavertree. 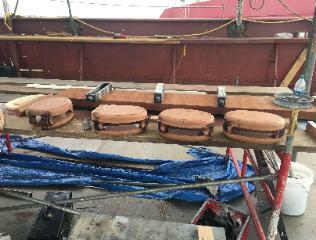 pendants to gun tackles with the fall leading to deck. 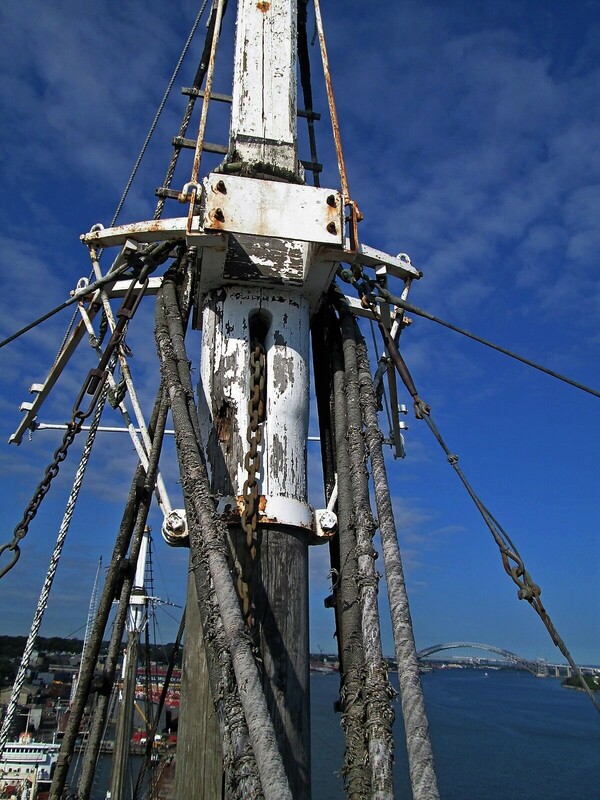 A spanker boom is rigged. 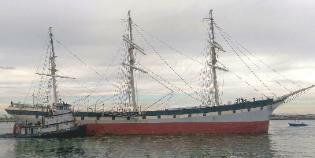 people who care about her and rejoice that she is in our world. story for years to come. 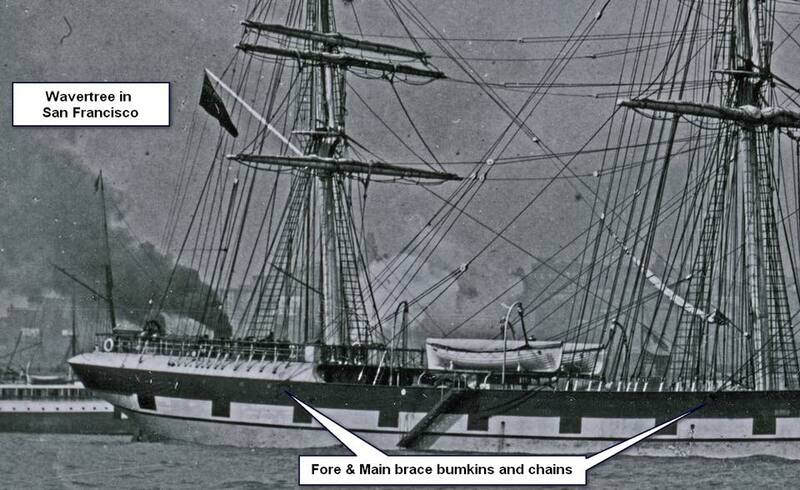 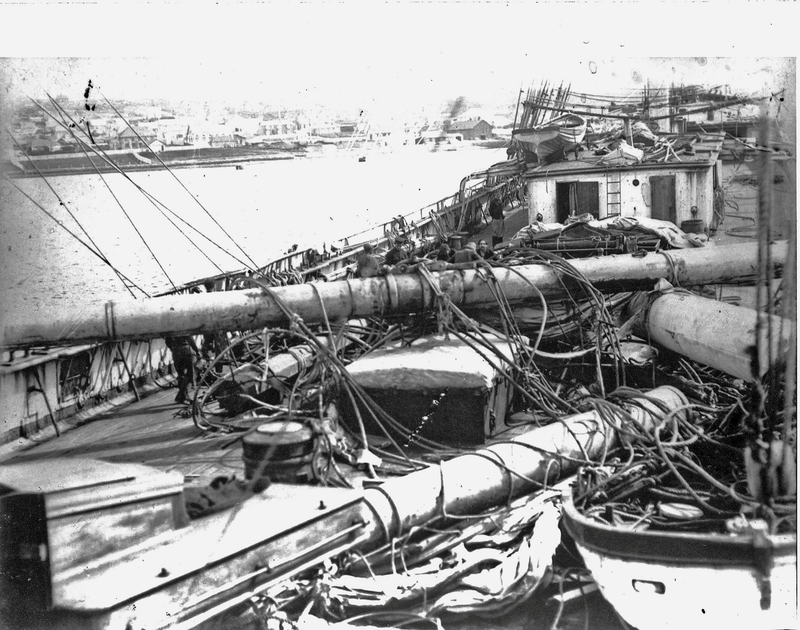 ships, the bumkin can be seen in its retracted position alongside the hull. 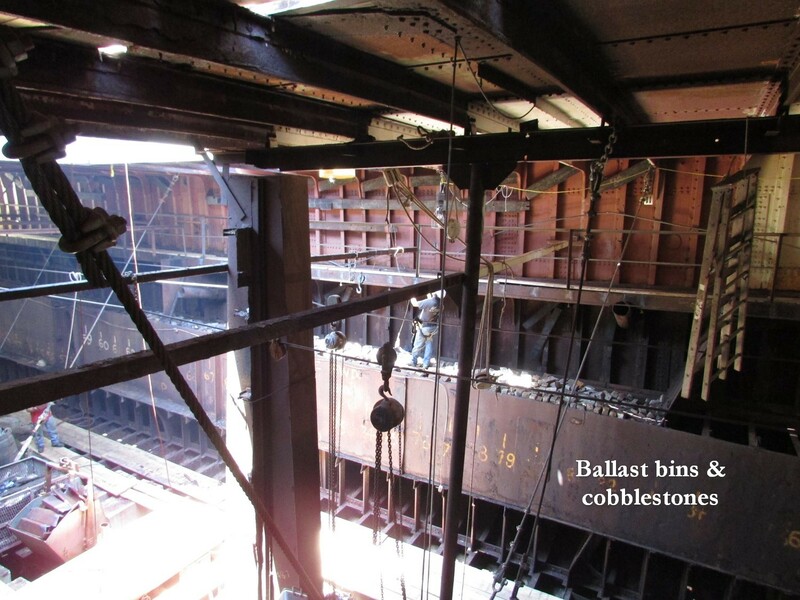 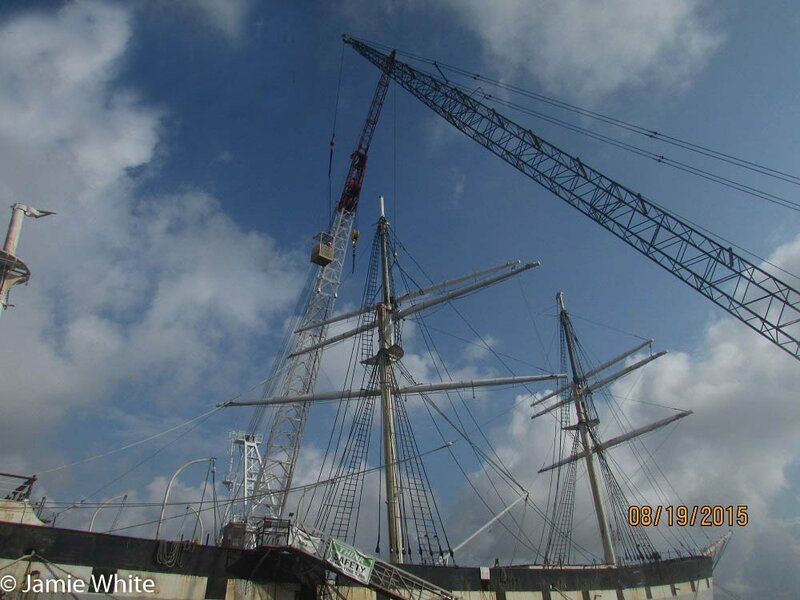 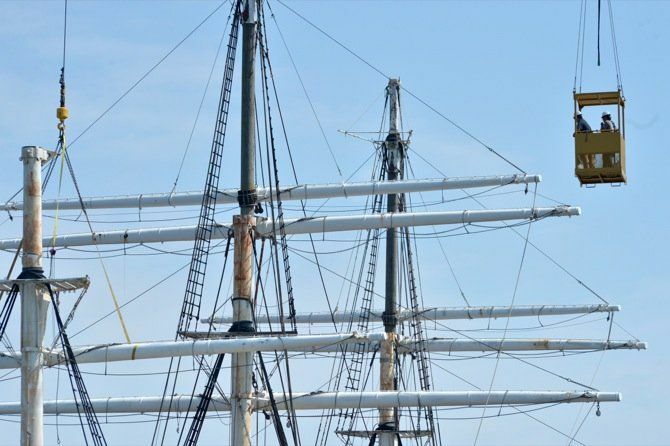 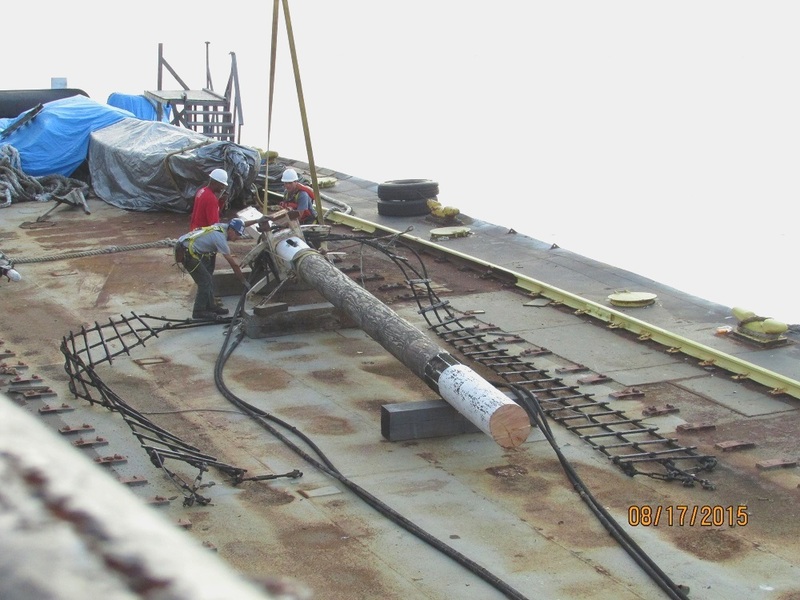 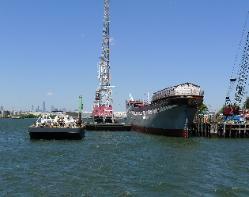 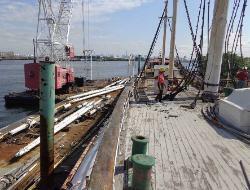 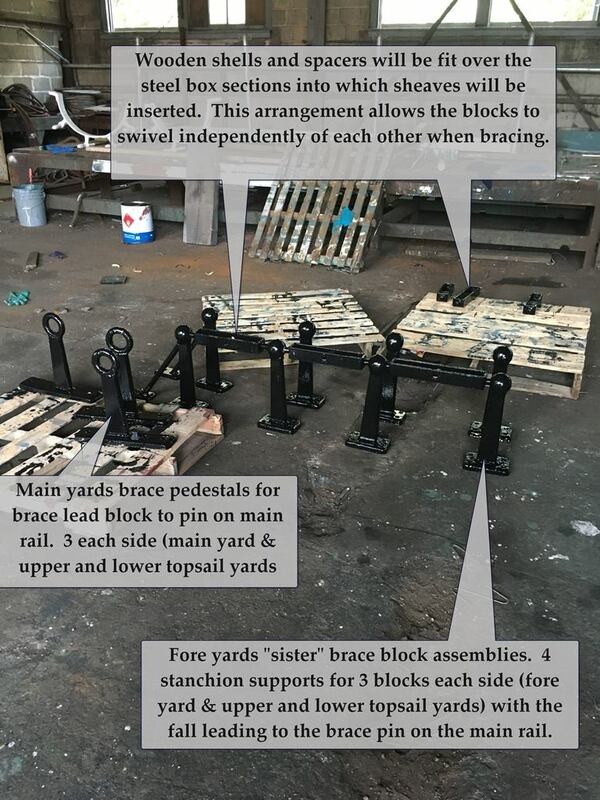 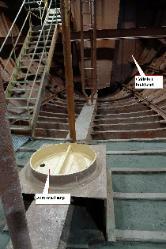 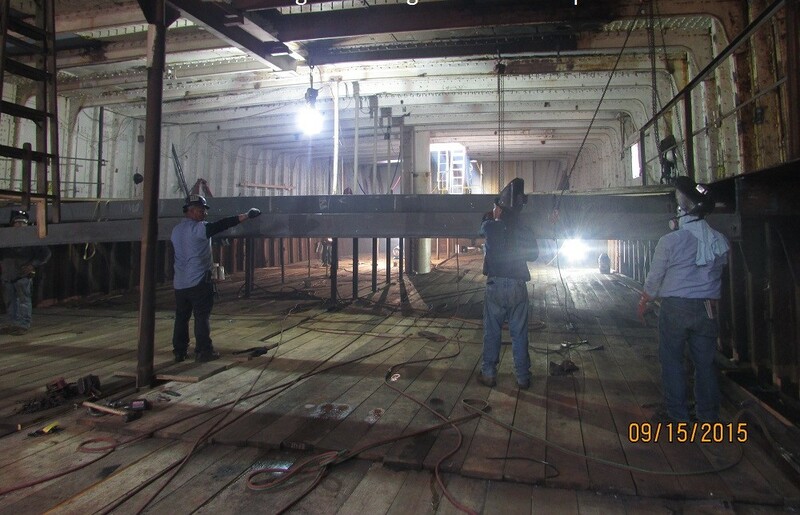 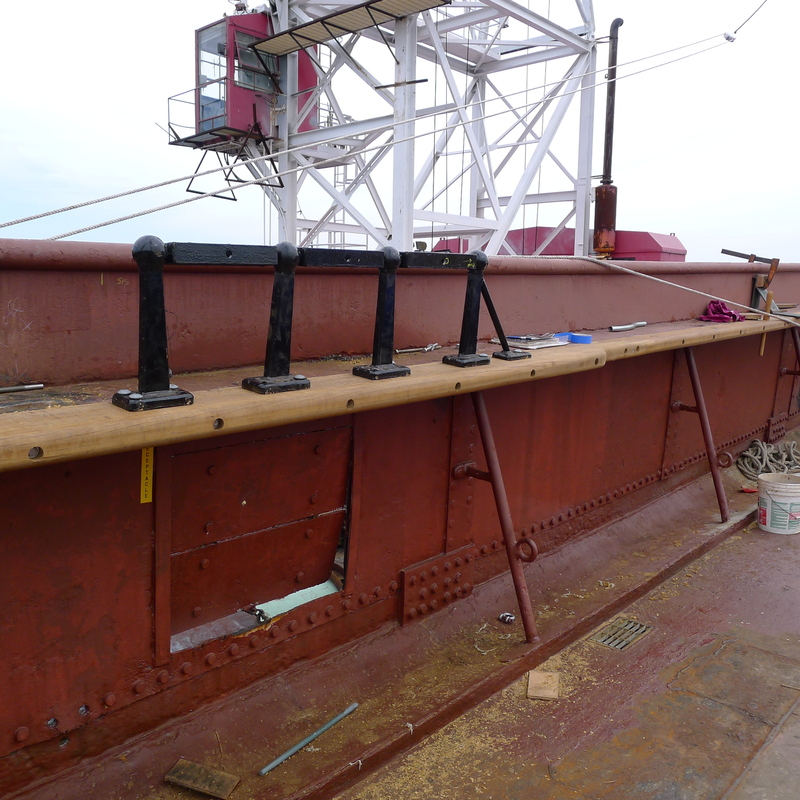 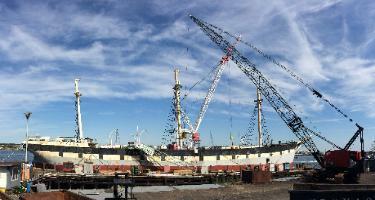 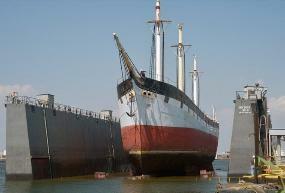 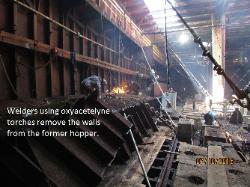 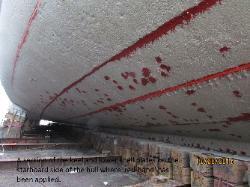 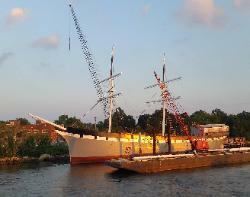 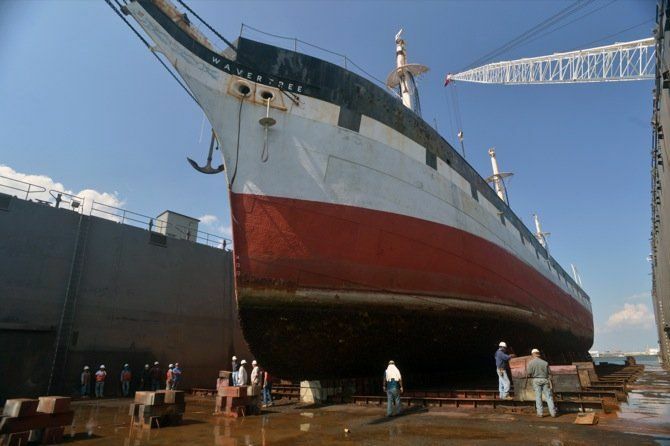 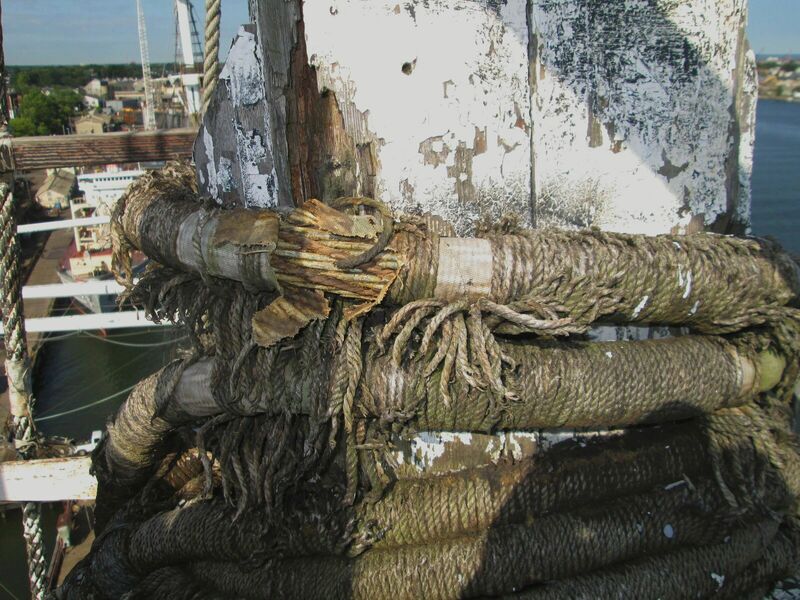 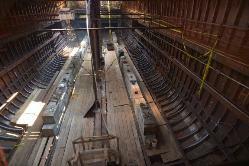 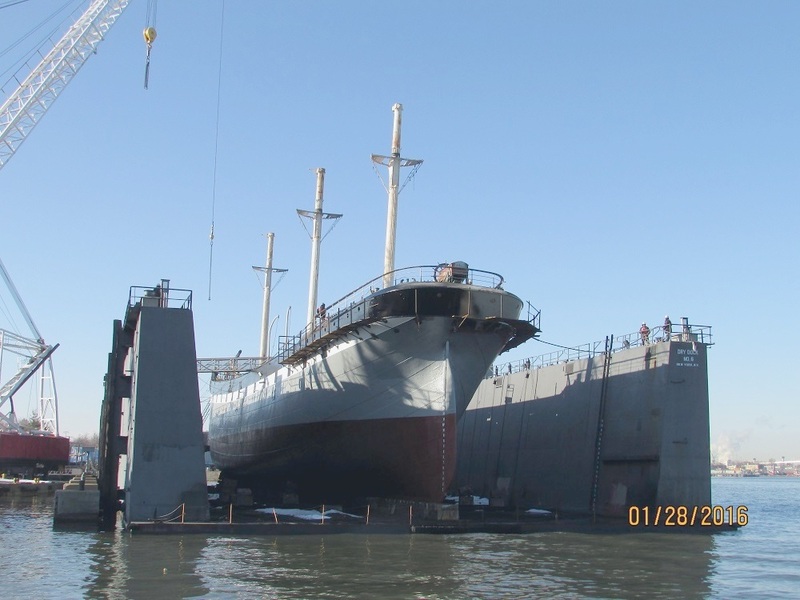 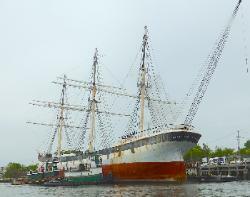 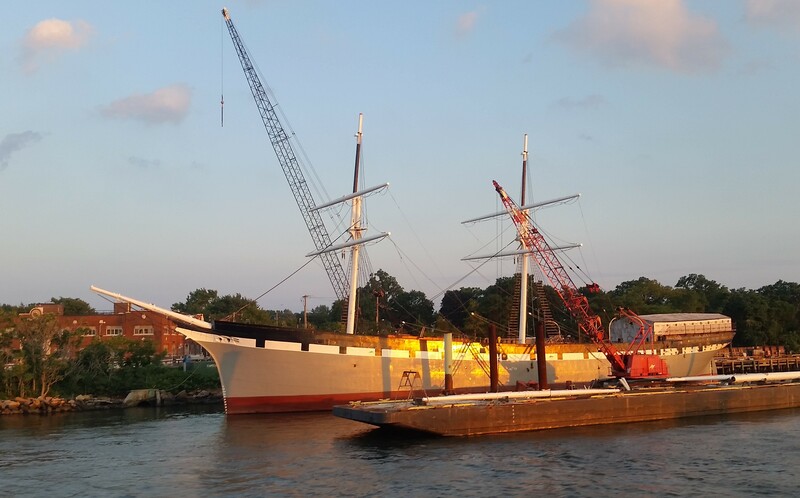 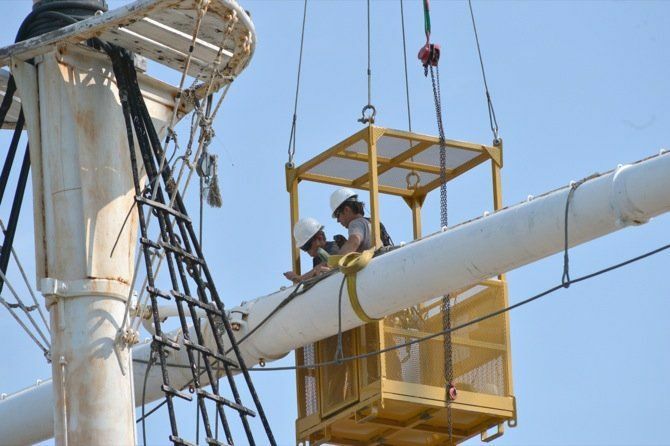 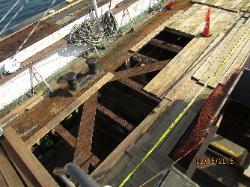 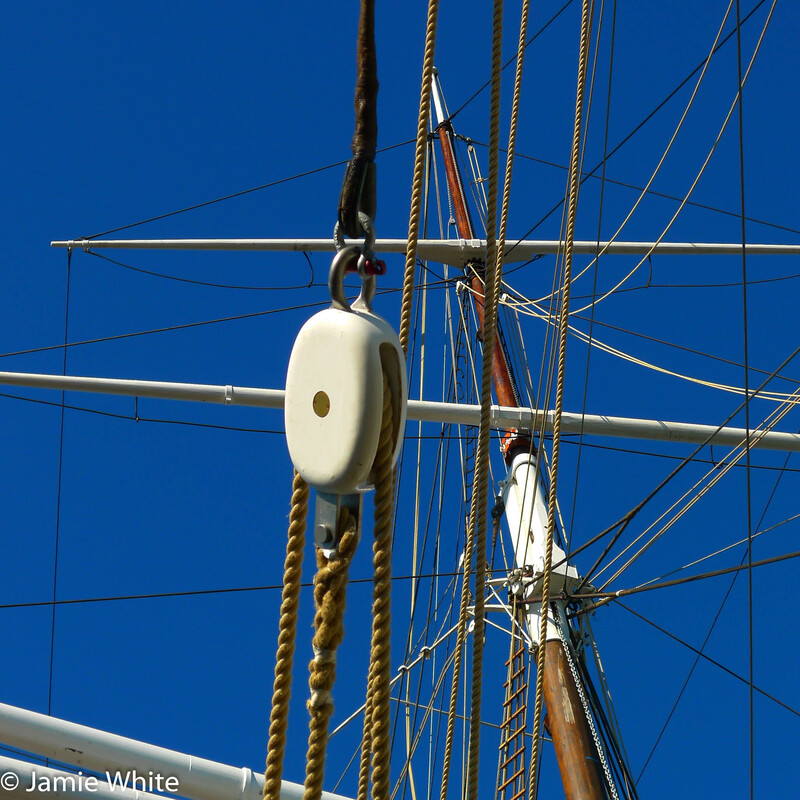 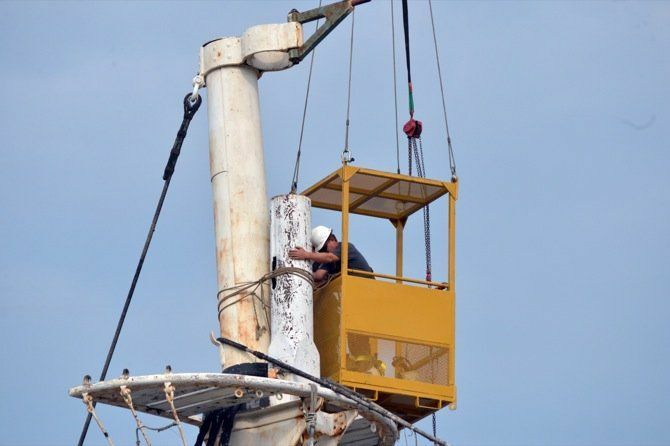 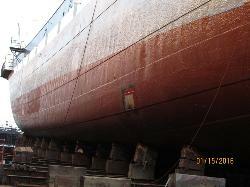 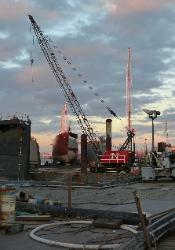 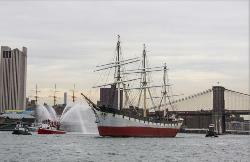 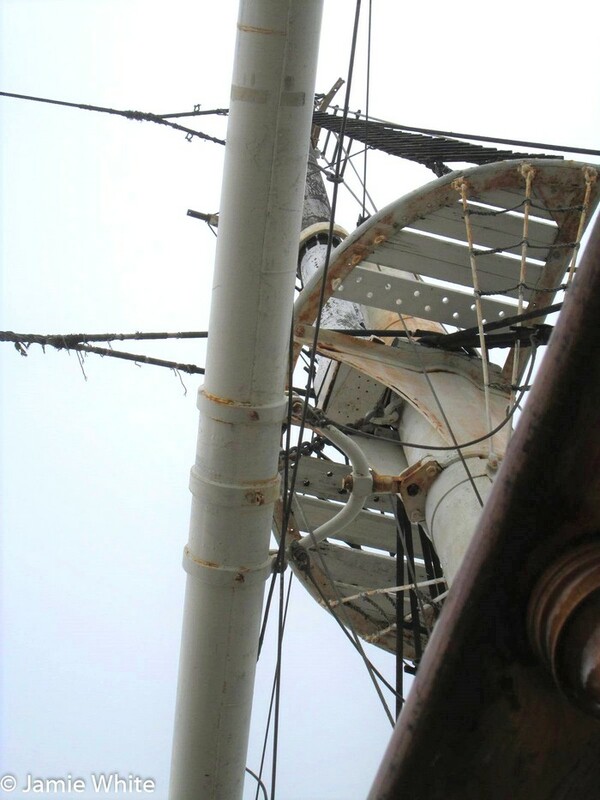 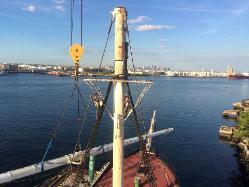 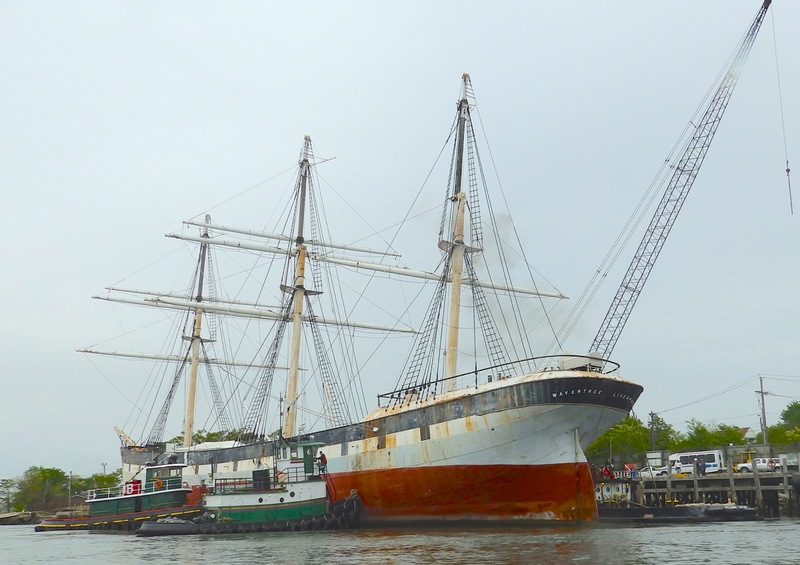 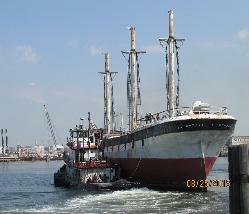 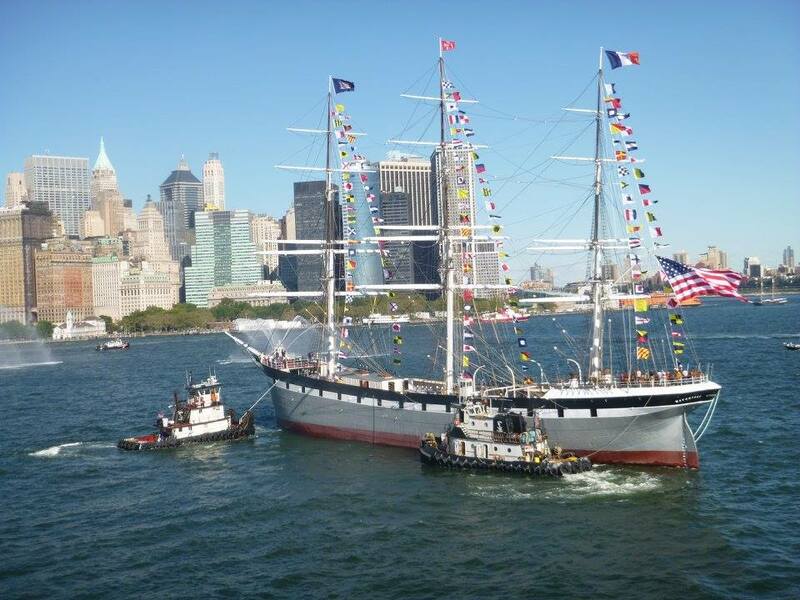 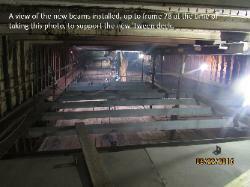 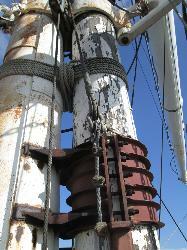 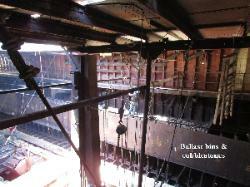 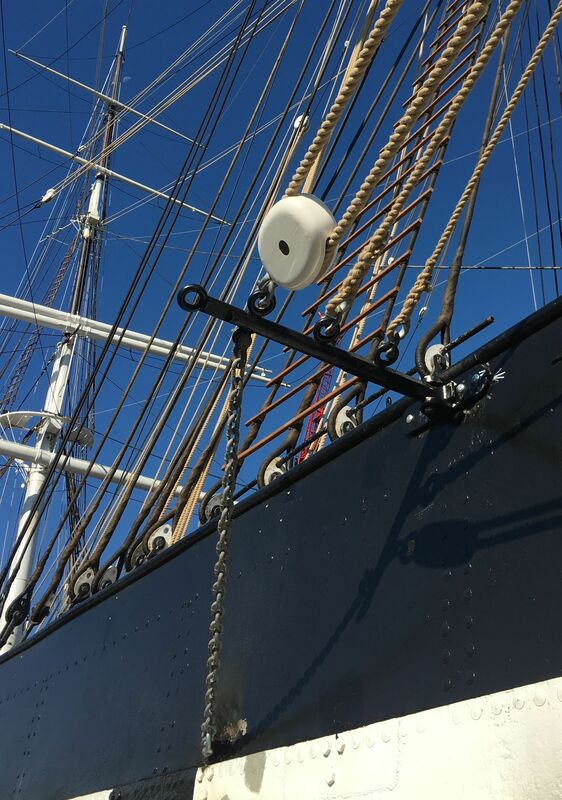 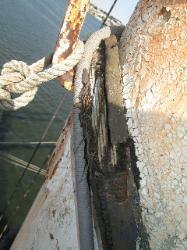 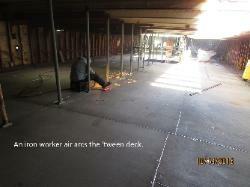 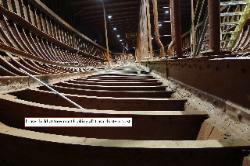 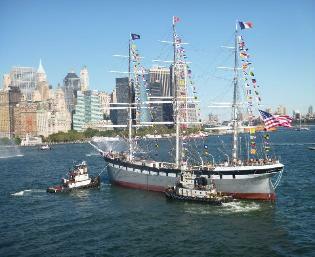 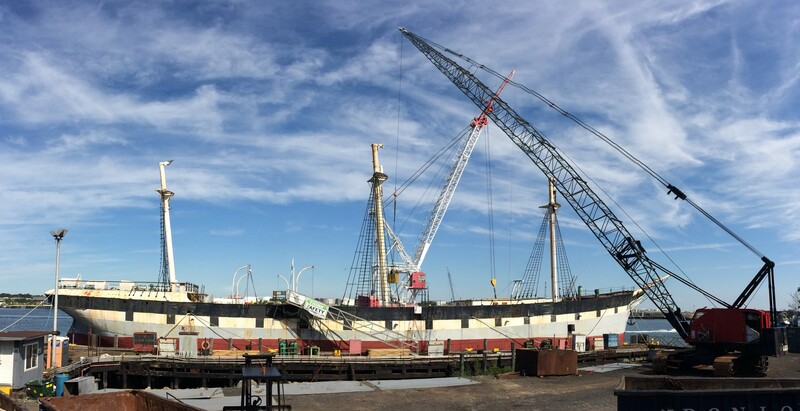 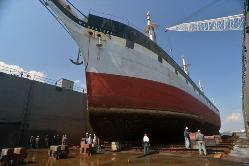 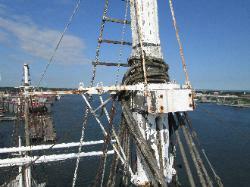 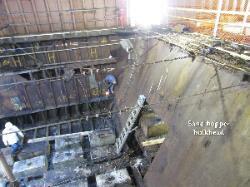 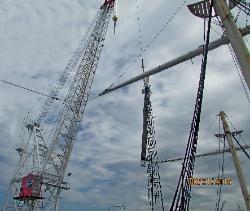 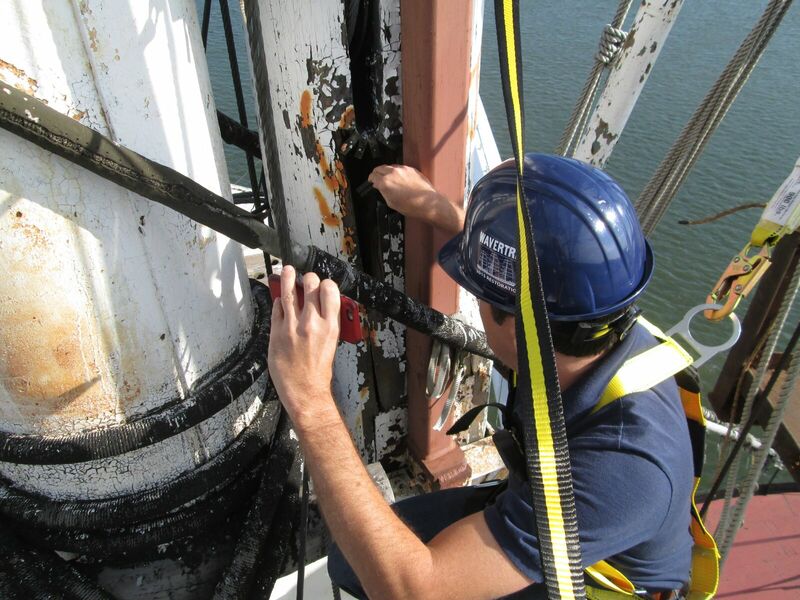 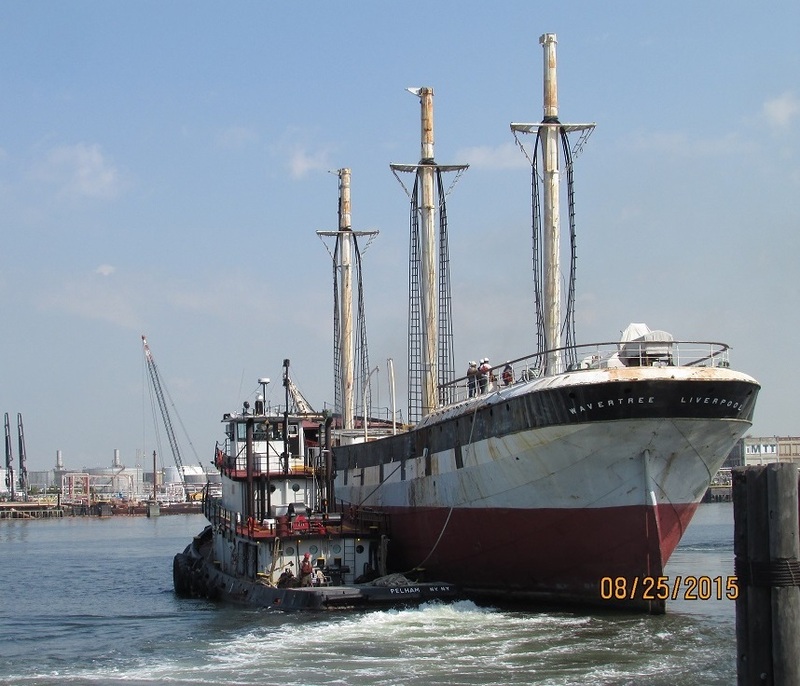 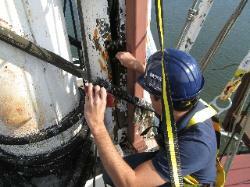 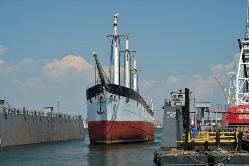 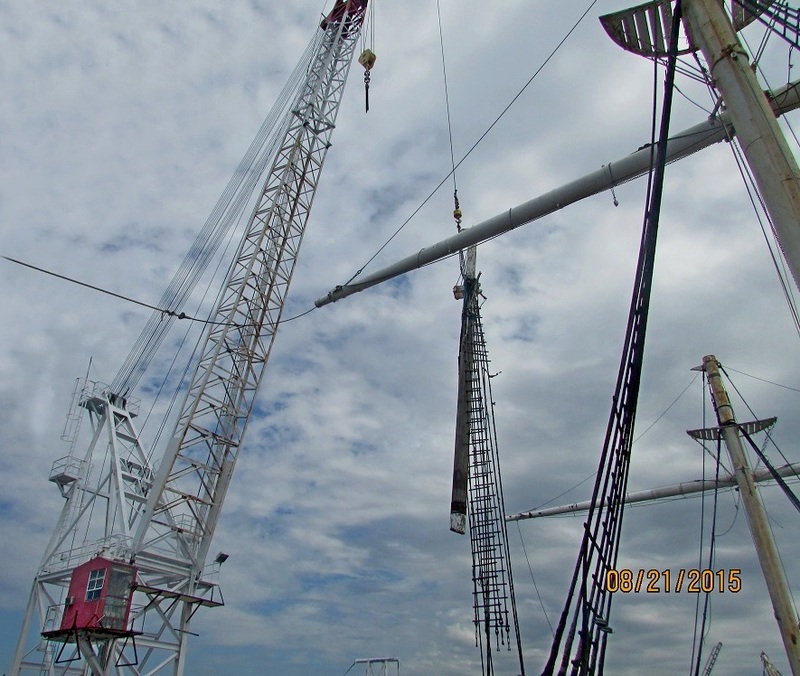 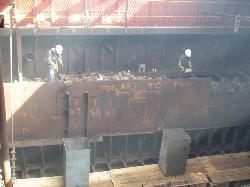 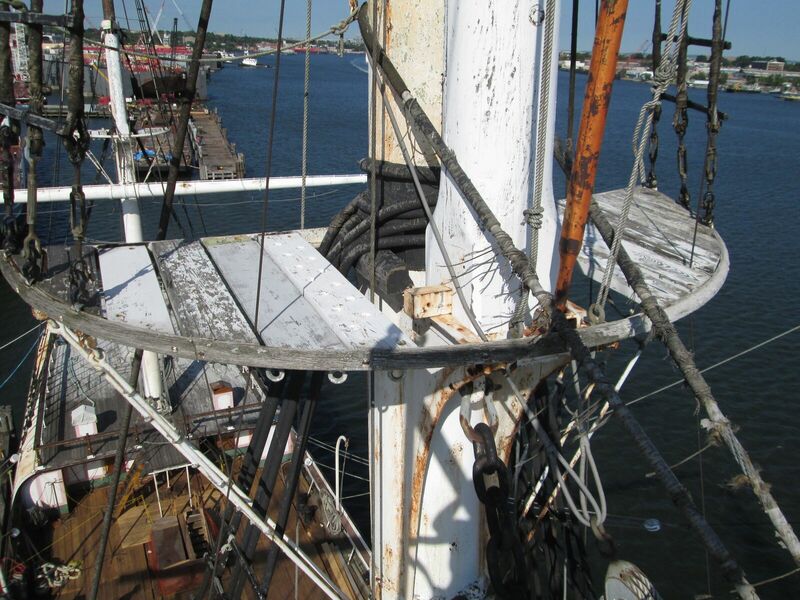 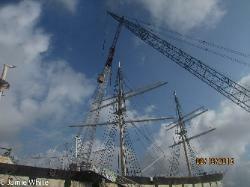 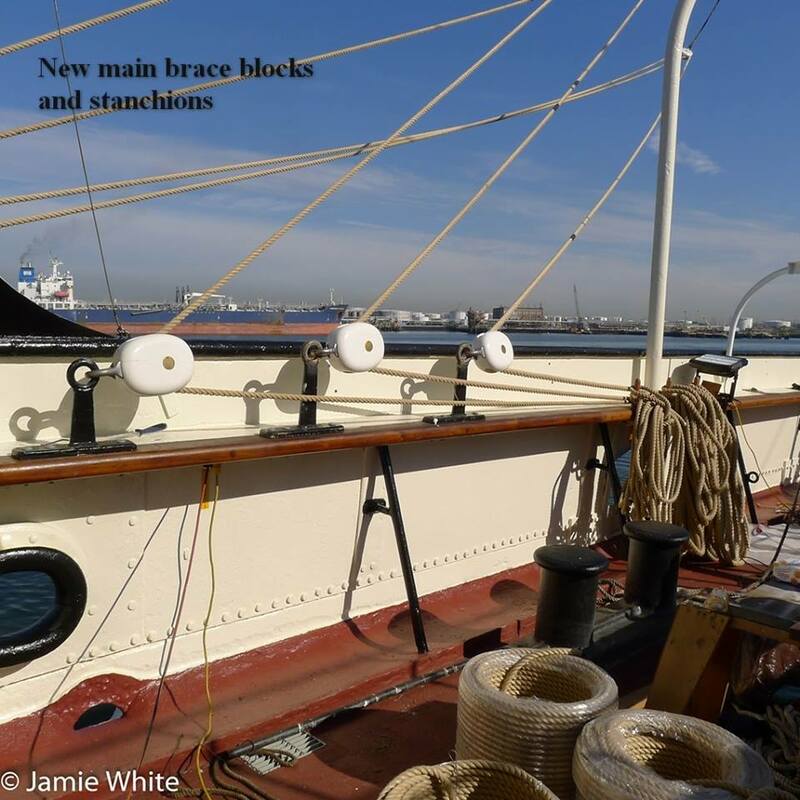 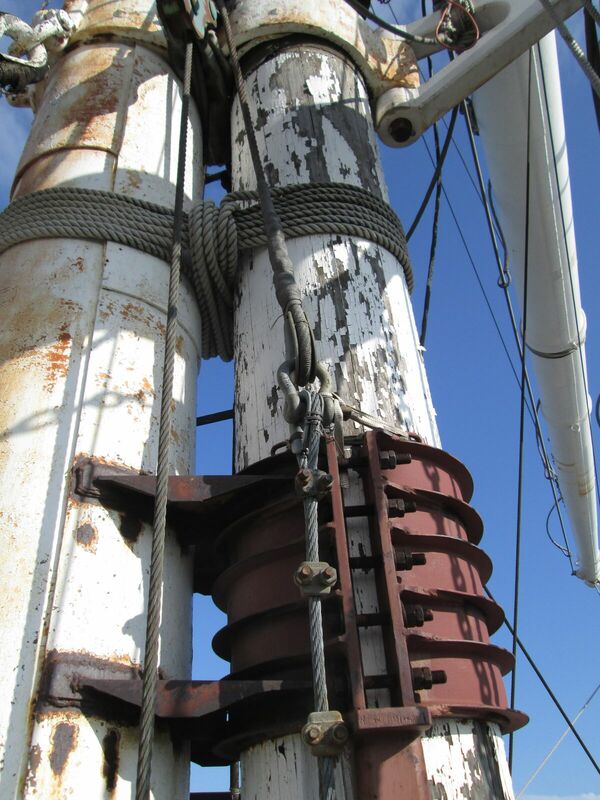 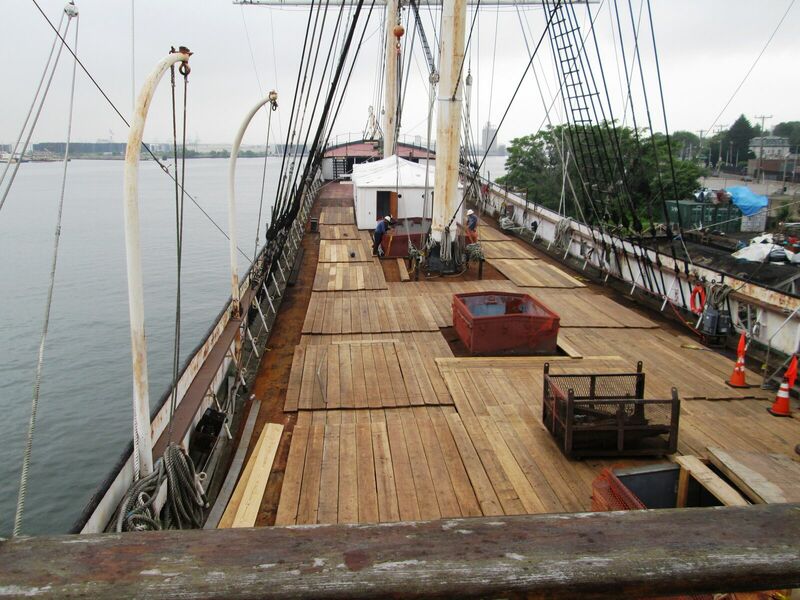 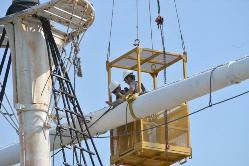 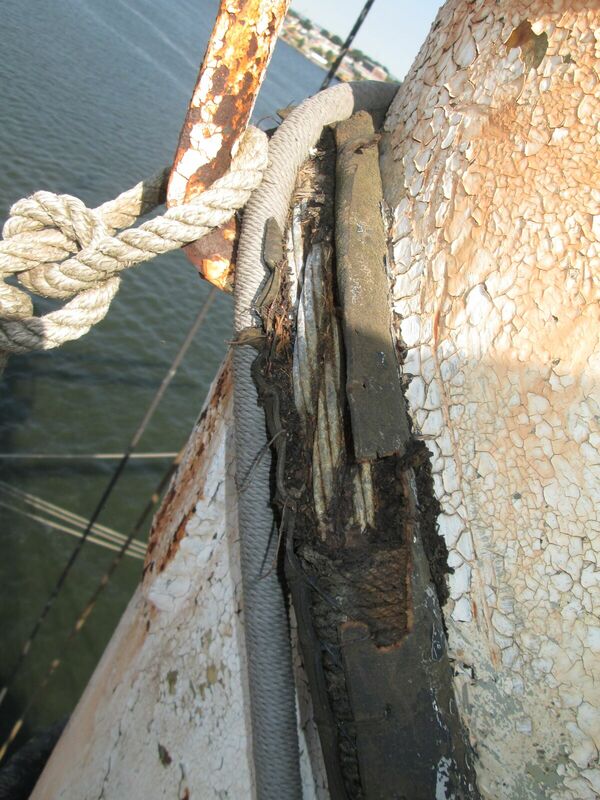 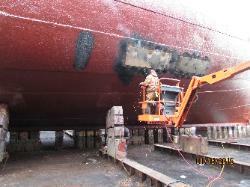 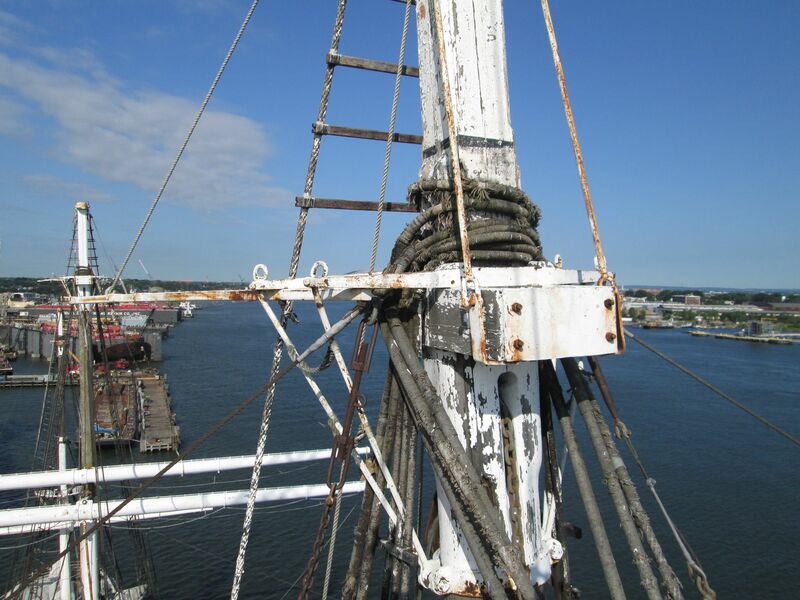 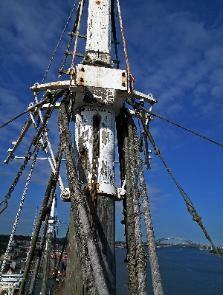 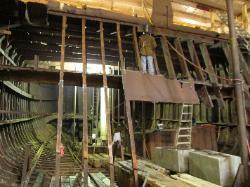 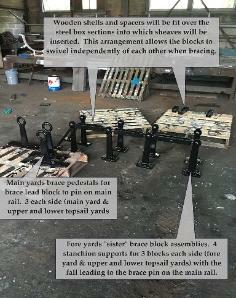 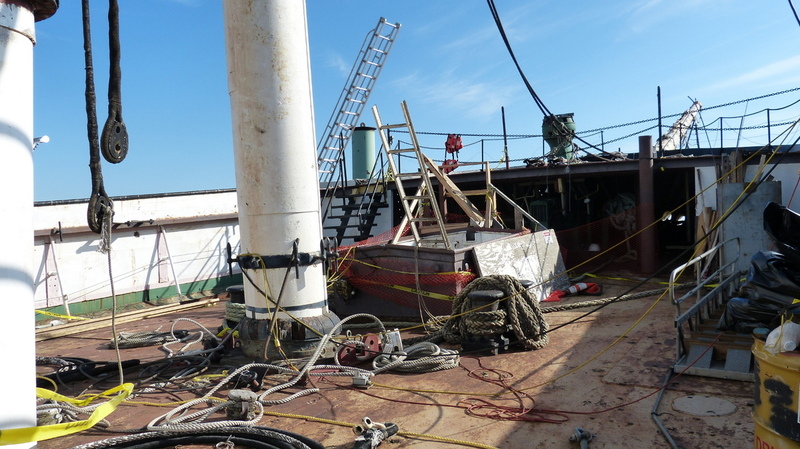 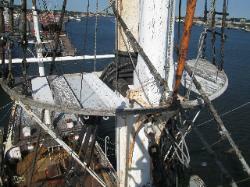 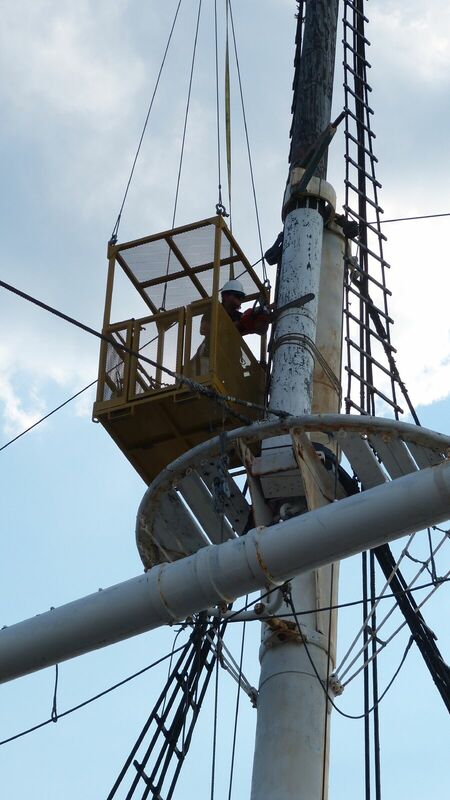 refurbishing or renewing the rigging, stepping masts and crossing yards. 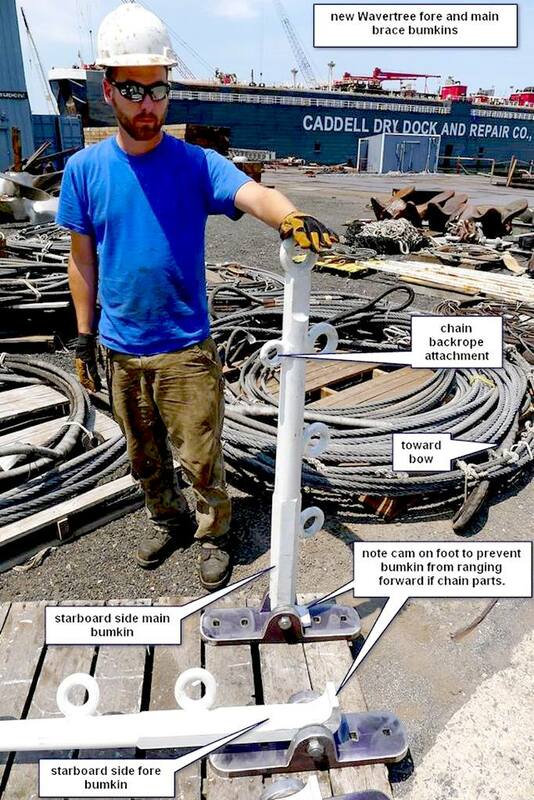 at fore topmast rigging gang. 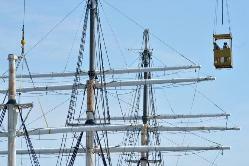 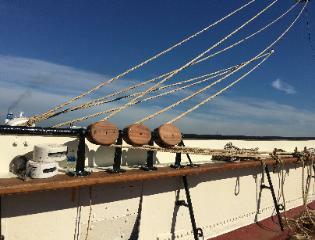 the foremast stpe in foreground. 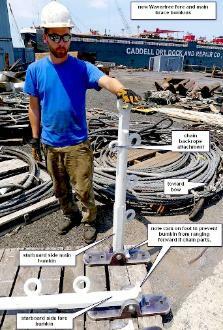 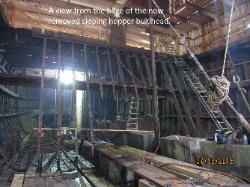 of spanker boom and skysail gear in documenting our efforts. 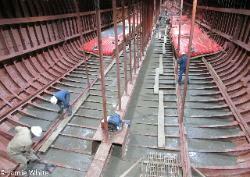 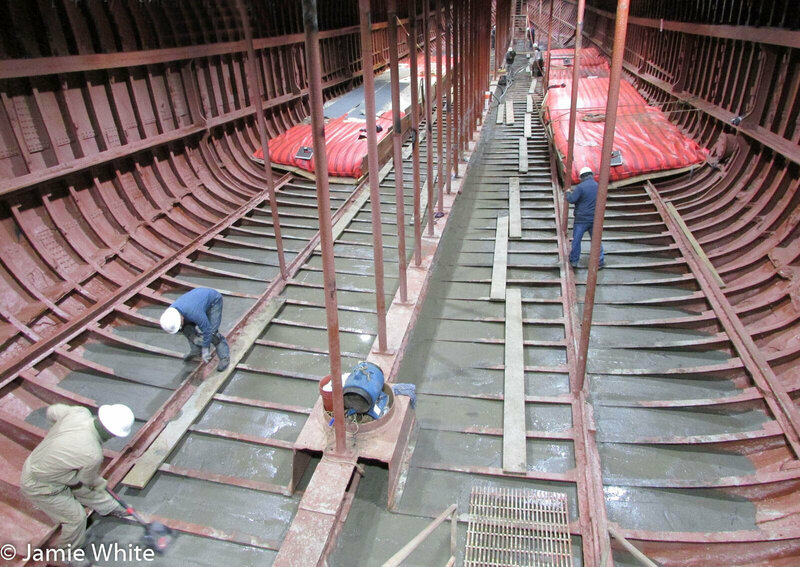 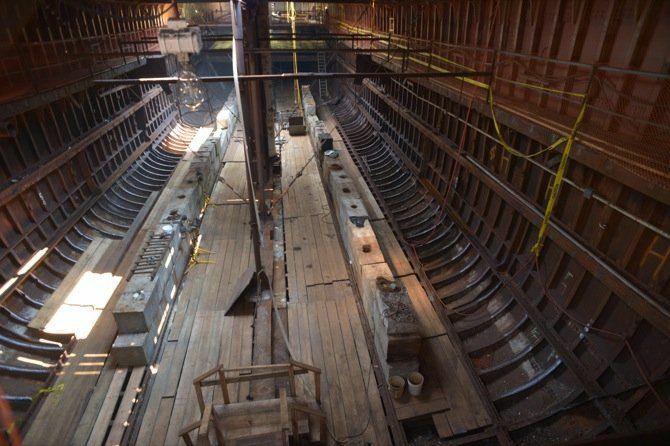 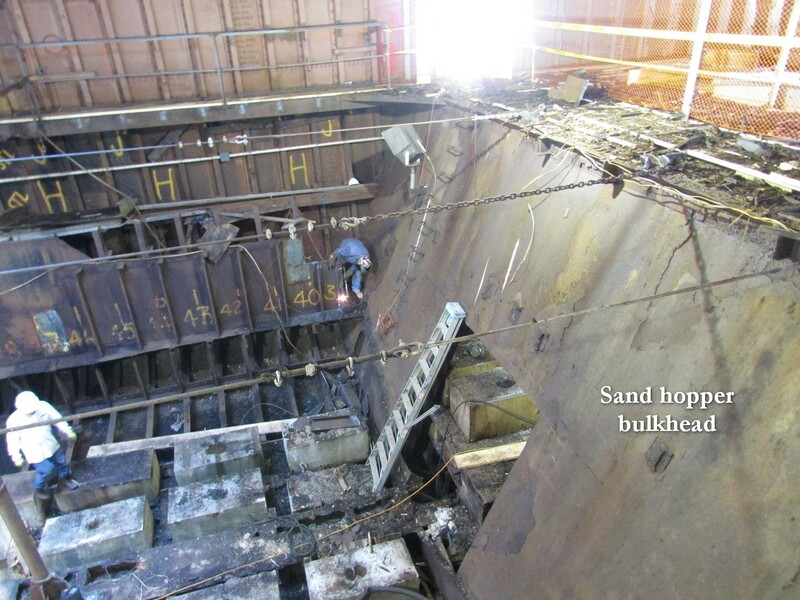 not yet faced with the ship of Theseus paradox about whether a ship that had been restored by replacing every single wooden part remained the same ship. 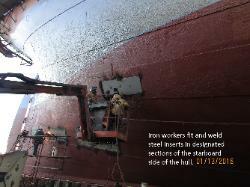 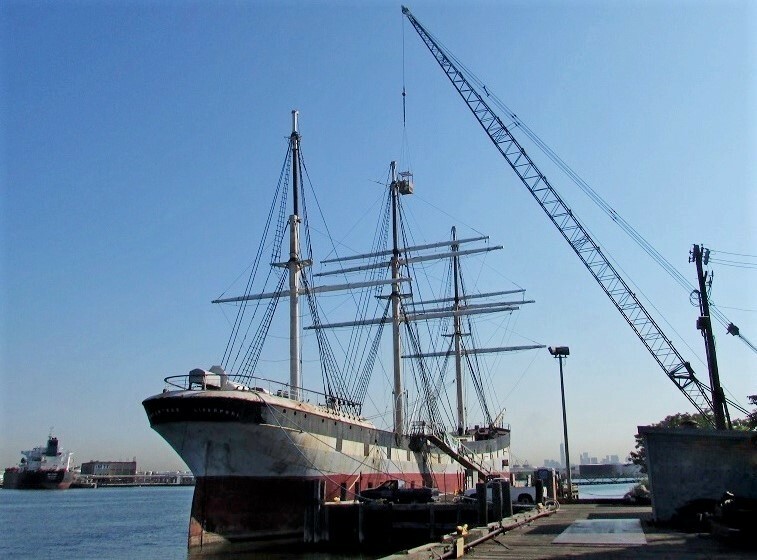 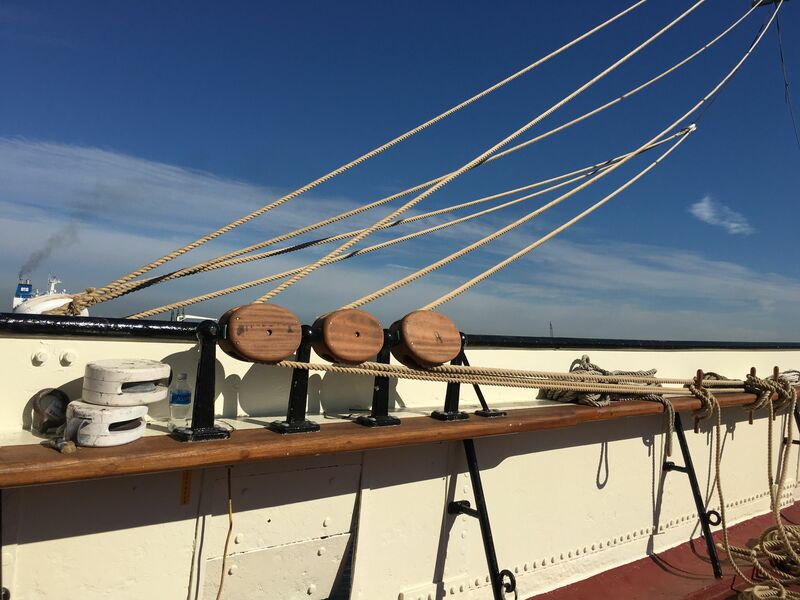 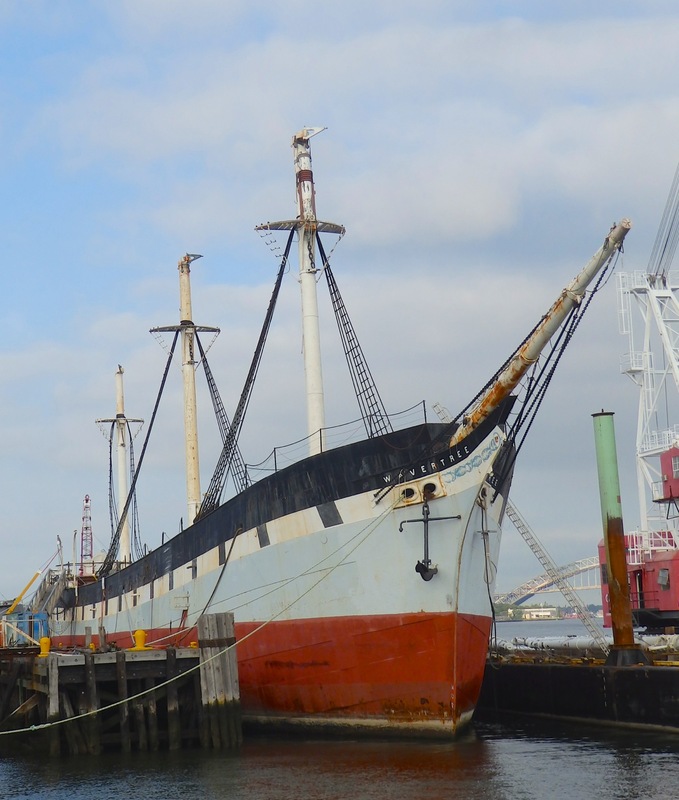 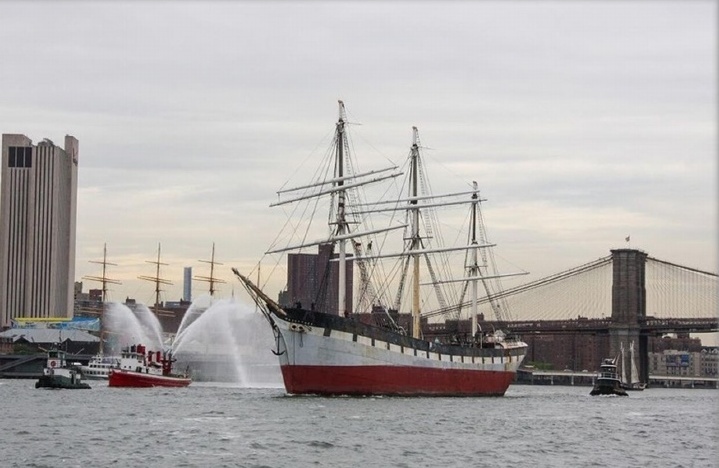 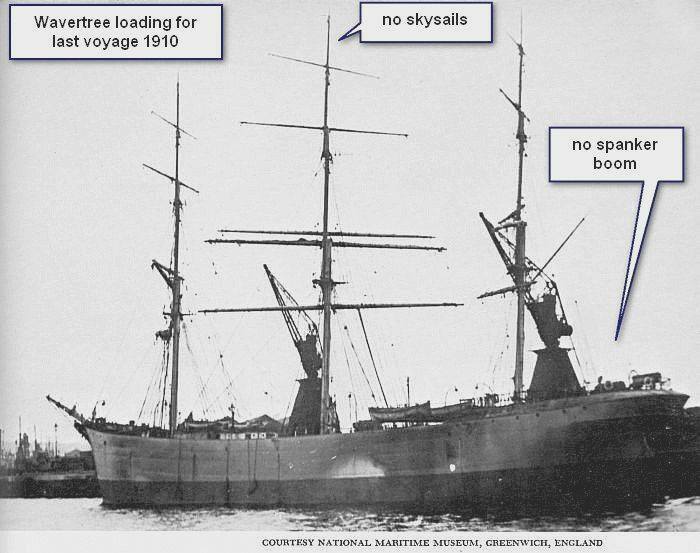 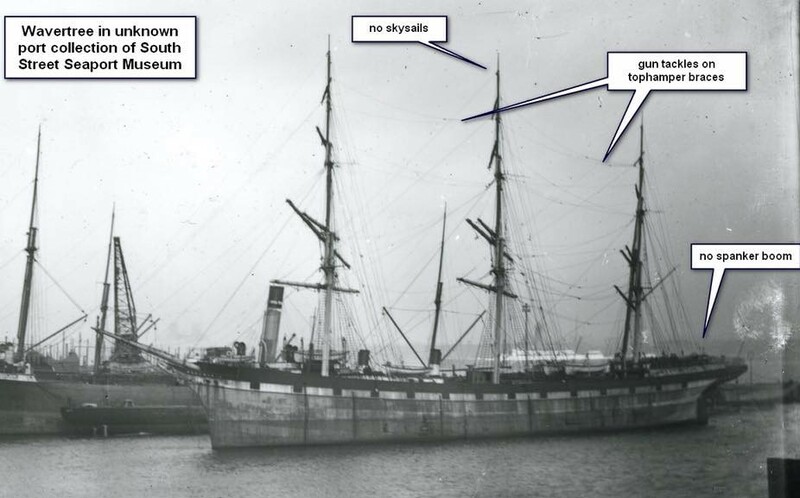 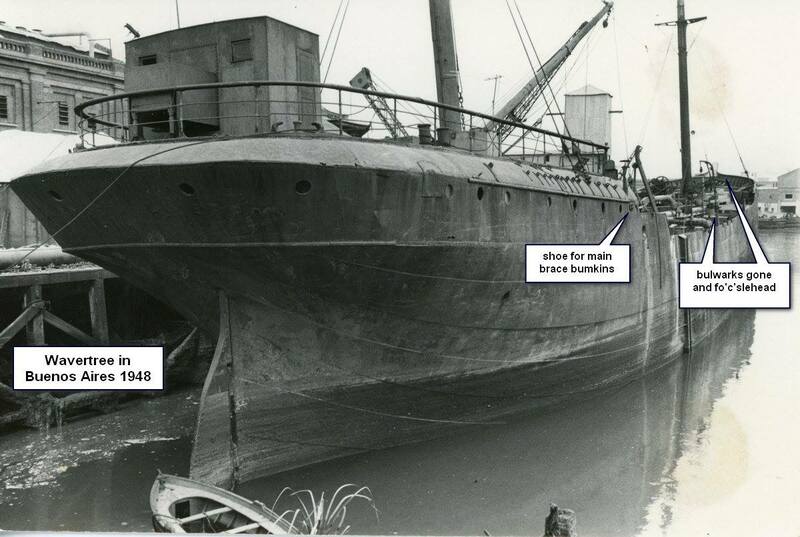 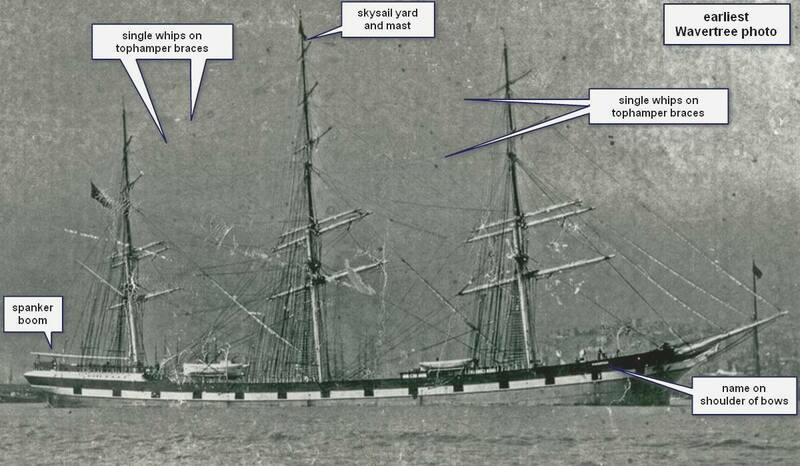 ship from the 1880’s we are using best practices when restoring or recreating damaged or missing features known to have been present during a period of her career. 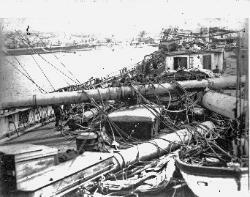 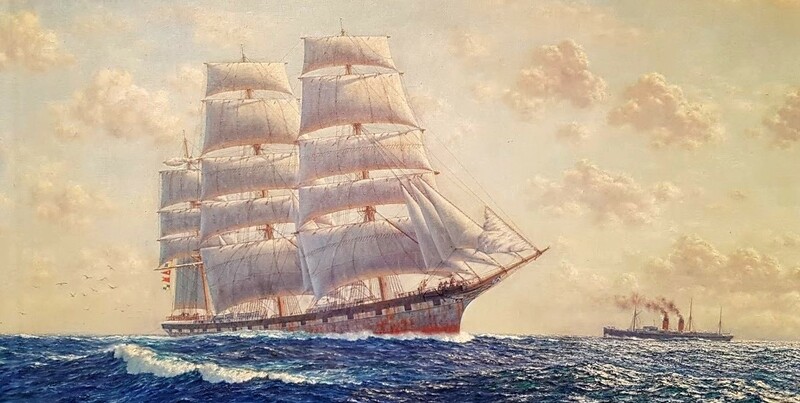 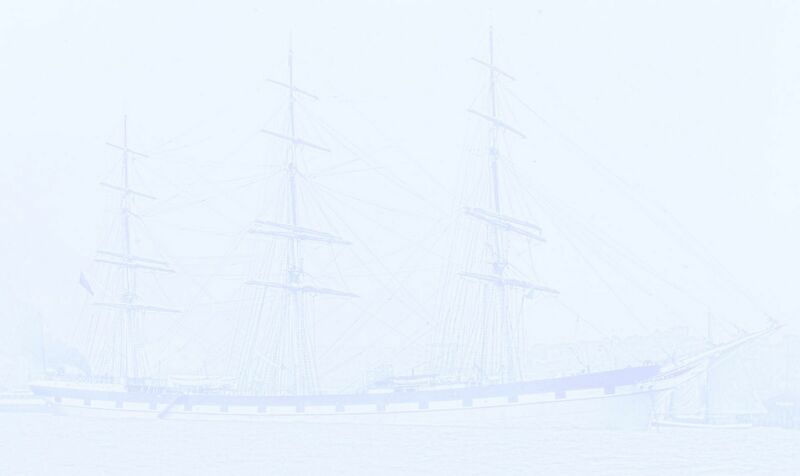 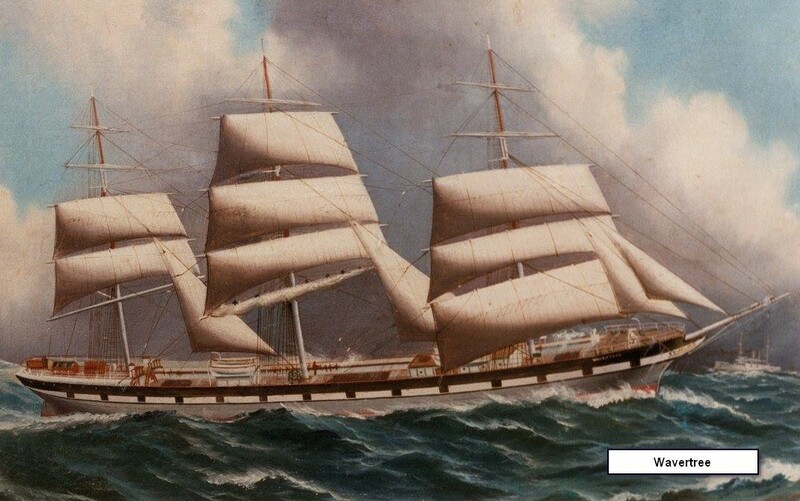 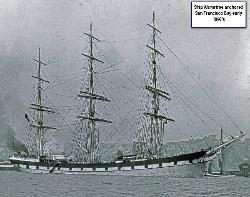 The period chosen or the snap shot in time selected is the highly detailed ship portrait made while she was anchored in San Francisco in the early 1890’s.